" To have a liner that fits my total face mask is absolutely wonderful. I no longer have to cut the full face liner to make it somewhat fit the total face mask. " " Great Invention Stops leaks and sweat on HIGH pressure Full face masks. " Silent Night FitLife Total Face CPAP Mask Liners are cloth liners designed to protect skin from leaks and red marks during CPAP therapy. 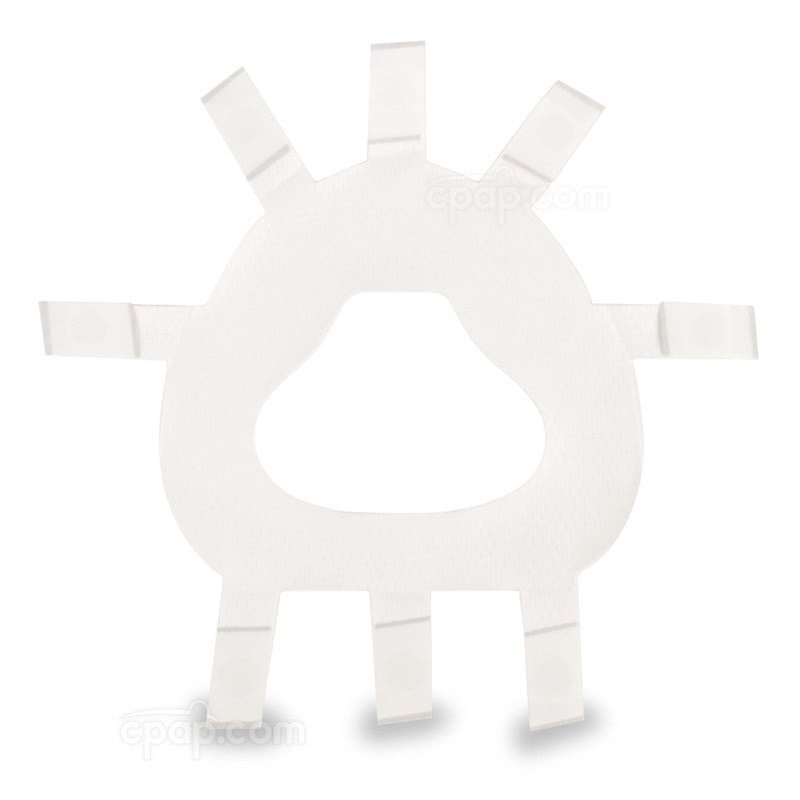 Create a stronger seal with the eight Quick Stick™ Tabs which are strategically placed along the liner to grip the rim of the FitLife Total Face CPAP Mask. Purchase this four pack to receive consistent therapy protection for a month. The Silent Night FitLife Total Face Mask Liners are made of Micro Pillow™ fabric which lays between the skin and mask to help shield against pressure points and draw away moisture. 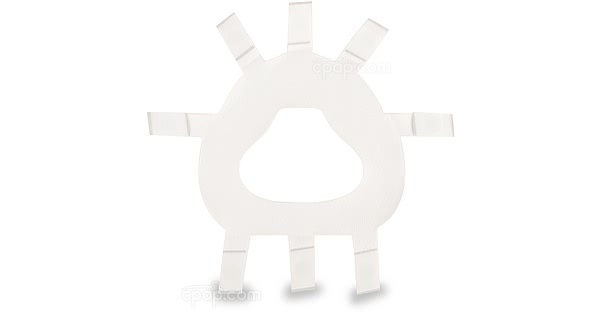 Switch out the liner every 6 to 8 days to ensure the padding works at its optimal. The four liners provided in this package will offer protection for an entire month. 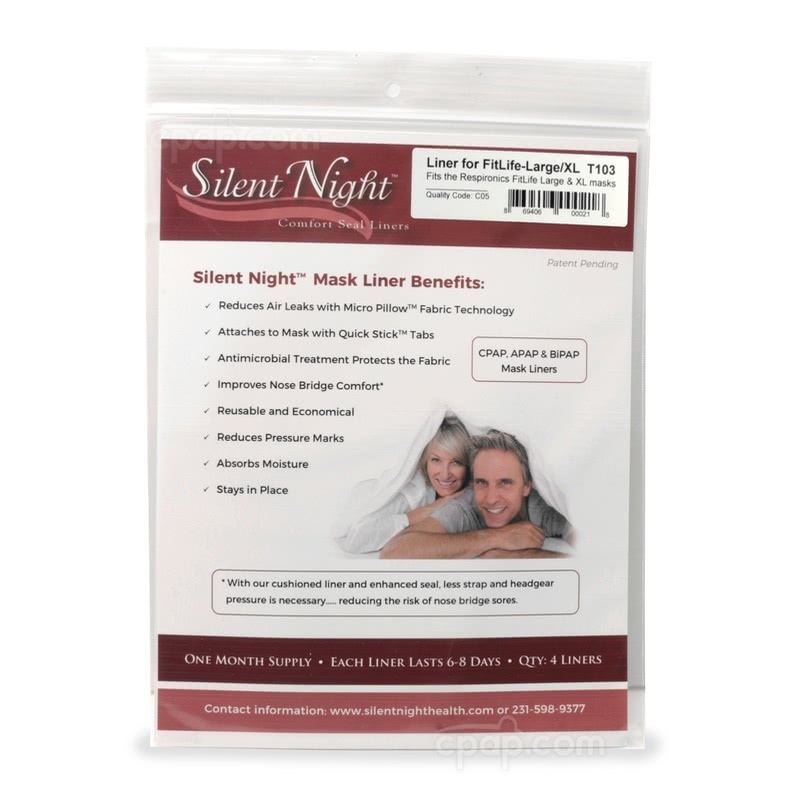 The FitLife Total Face Mask Liners from Silent Night are only intended for the FitLife Total Face CPAP Mask with Headgear. Easily lift and adhere the Quick Stick™ Tab to position the liner for comfort all night. Please Note: The tabs may be lifted as many times as needed to create the perfect fit between the liner and the mask. Please Note: The Silent Night FitLife Total Face CPAP Mask Liners are only compatible with the FitLife Total Face CPAP Mask with Headgear. How Do I Apply the Mask Liner? Discard the sticker on the back of the Quick Stick™ tab. Place the liner over the mask cushion, so the opening is in the middle of the mask. Make sure the adhesive is facing the mask, not the face. Lightly secure the adhesive to the side of the mask frame. If needed, adjust the liner by lifting the tabs. The Silent Night FitLife Total Face Mask Liners can be removed each day to clean the mask. The liners are engineered to resist curling and provide a strong bond, allowing the liner to be re-applied to the mask within the six to eight day range of time. The liners themselves are not designed to be cleaned and should be discarded after six to eight days of use. 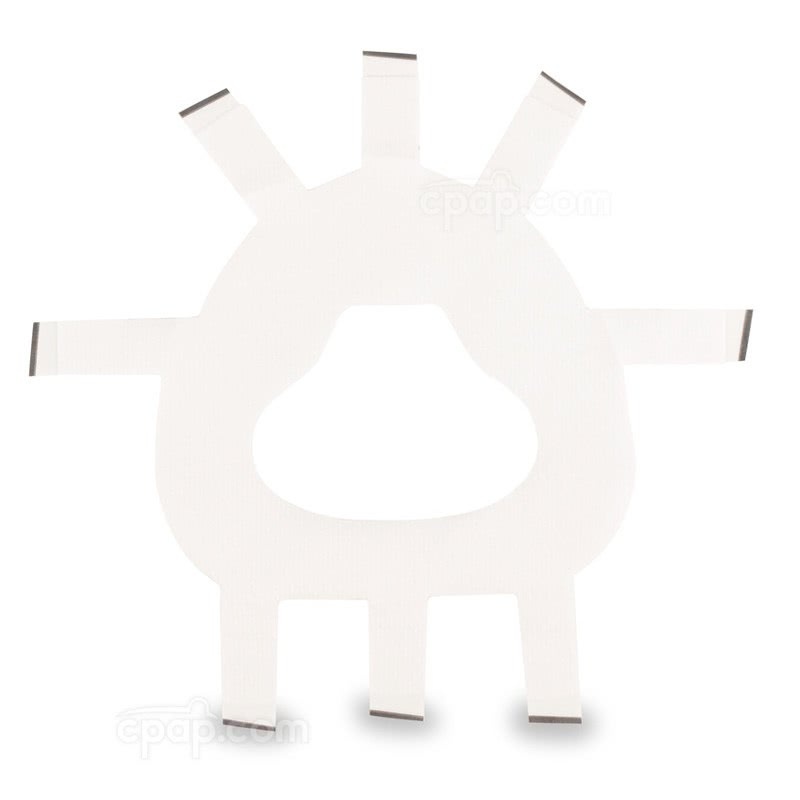 Silent Night FitLife Total Face CPAP Mask Liners have four liners in a package. By using one liner per every six to eight days, it is anticipated the package will last about a month.